The Turkish defense left those of Jasikevicius in only 43 points in Istanbul and advance in the tie. Kalinic, with 16 points, was the best of the game. Obradovic won the game to Jasikevicius in the first duel of the quarterfinals and Fenerbahce puts the 1-0 in the series. 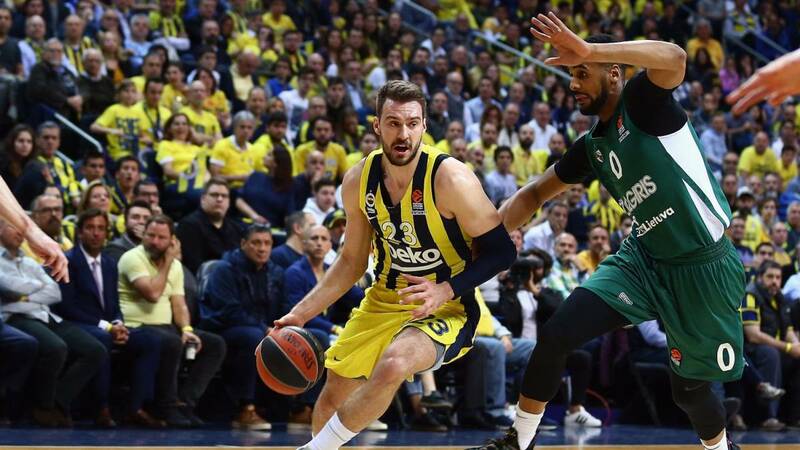 The Turks left the Zalgiris in a pyrrhic 43 points before their public, controlled the match from start to finish and put the finishing touch in the second part with a grna Kalinic, who went up to 16 points in the duel. A fourth is what who endured the Kaunas in Istanbul. The 15-13 of the first part went to the 38-21 with which they came to rest in a duel that already seemed on track. In this period, the visiting team could only score 8 points, the same as scored in the last. The 14 goals scored in the third period were the highest score in a quarter that Zalgiris won today. They were totally absorbed by the rival defense, lost up to 21 balls and did not find any response to the spider web imposed by an Obradovic who opts for his 10th Euroleague. The Turks did not have to do much in attack and Kalinic as the most outstanding man with 16 points, while Guduric scored 13. Although they did not have more players than the ten, all the players of the team scored with the exception of Sinan Guler. On the part of the Zalgiris, only Grigonis managed to reach the 10 points on a disastrous day in the shot, especially from the triple, where they scored only 3 of the 16 they tried. Much will have to improve those of Jasikevicius in this section if they want to have any option in the tie. For the moment, the forecasts are fulfilled. The first classified of the regular phase wins the eighth and puts the 1-0 in the tie with very good feelings. On Thursday, the second duel in Istanbul will be played, in which Fenerbahce will seek to put the tie back and put a 2-0 that would be practically final for the aspirations of the Lithuanians.